Lawsuits involving toxic water at Camp Lejeune have been consolidated in a multidistrict litigation and transferred to the U.S. District Court, Northern District of Georgia. Camp Lejeune toxic water lawsuits will be presided over by Judge J. Owen Forrester. ATLANTA – Saying plaintiffs had met the “particularly difficult” burden of showing that federal environmental law preempted state statutes of repose and limitations, a Georgia federal judge on Sept. 29 refused to dismiss multidistrict litigation against the United States alleging injuries caused by contaminated water at the Camp Lejeune military base (In re: Camp Lejeune, N.C., Water Contamination Litigation [Linda Jones, No. 11-2573], No. 11-2218, MDL 2218; Erica Y. Bryant v. U.S.A., No. 1:10-cv-2741; Joel Shriberg v. U.S.A., No. 1:11-cv-2271; Linda Jones v. U.S.A., No. 1:11-cv-2573, N.D. Ga., Atlanta Div. ; See March 2011, Page 23). Form for requesting records using the Freedom Of Information Act (FOIA). The United States Court of Appeals for Veterans Claims is a national court of record, established under Article I of the Constitution of the United States. The Court has exclusive jurisdiction to provide judicial review of final decisions by the Board of Veterans' Appeals, an entity within the Department of Veterans Affairs. The Court provides veterans an impartial judicial forum for review of administrative decisions by the Board of Veterans' Appeals that are adverse to the veteran-appellant's claim of entitlement to benefits for service-connected disabilities, survivor benefits and other benefits such as education payments and waiver of indebtedness. In furtherance of its mission, the Court also seeks to help ensure that all veterans have equal access to the Court and to promote public trust and confidence in the Court. 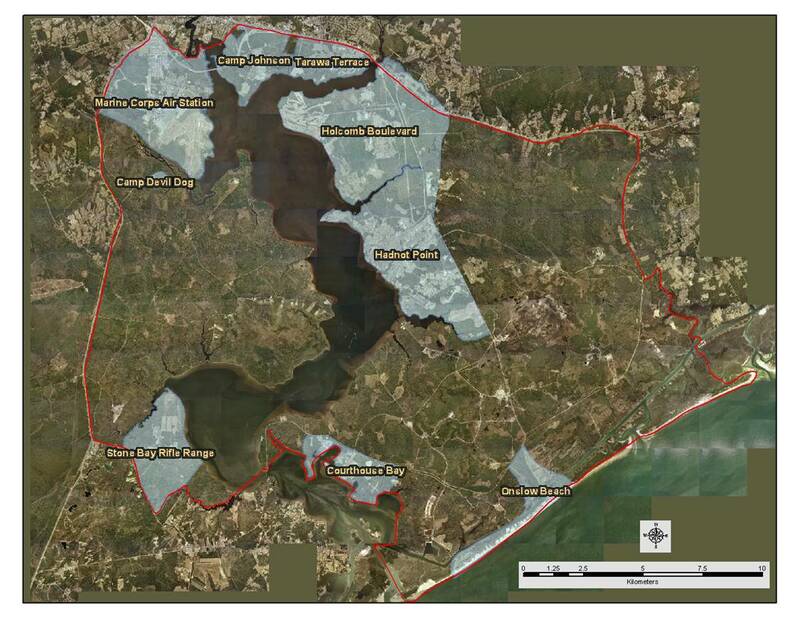 Click on (SEARCH DECISIONS LINK) for appeals approved or disapproved by VA for Camp Lejeune Toxic Water. READ WHY THE APPEALS WERE DENIED TO MAKE SURE YOU HAVE ALL YOUR DOCUMENTATION. Note the specific language in the opening and closing paragraphs. Less specific language may not meet the VA standard. The C & P Service Clinicians Guide gives the examining physician the exact phrasing to be used in the "nexus" statement. Here is the relevant section of the Guide: "When asked to give an opinion as to whether a condition is related to a specific incident during military service, the opinion should be expressed as follows: 1. “is due to” (100% sure) 2. “more likely than not” (greater than 50%) 3. “at least as likely as not” (equal to or greater than 50%) 4. “not at least as likely as not” (less than 50%) 5. “is not due to” (0%) " The importance of using the language at # 1, 2, or 3 is apparent. ACTUAL FORM. NEXUS STATEMENTS NEED TO BE MORE DETAILED. IF THIS FORM IS USED BY YOUR DOCTOR, YOU MAY NOT BE APPROVED. Informational Article for Veteran's. Explains several different points that will prove valuable. Defines rules for travel pay. READ THIS! View your State to see what offers are made to Veterans or their family members. NPRC is one of the National Archives and Records Administration's largest operations. We are a central repository of personnel-related records, both military and civil service. Our mission is to provide world class service to Government agencies, military veterans, former civilian Federal employees, family members, as well as researchers and historians. Use the following to request veterans' service records from WW I - Present. We STRONGLY suggest that you contact a Veteran Service Organization for assistance. Learn about DoD disability severance pay, find out how eligibility is determined, and get help during the evaluation process. Effective immediately, all claims folders with pending claims or appeals based on water contamination at Camp Lejeune will be Permanently Transferred Out (PTOed) to the Louisville RO. THIS LETTER MUST BE INCLUDED IN YOUR FILE. READ ALL INFORMATION BEFORE YOU DECIDE TO SIGN UP. THIS LINK IS FOR INFORMATION PURPOSES ONLY AND WE ARE NOT AFFILIATED WITH DIRECT EXPRESS.THE CHOICE OF SIGNING UP IS STRICTLY YOURS! The Direct Express Debit MasterCard provides another option for federal beneficiaries who do not have a bank account, but who are looking for a no-cost or low-cost alternative to using check cashing facilities and carrying large amounts of cash. CAREGIVER INFORMATION Family & Caregiver Support Learn about programs to support families of Service Members and Veterans, and how to access emotional, financial and community assistance. This link shows what the VA is doing for the Camp Lejeune Veterans. List of Attorneys that are taking (some) Camp Lejeune cases. PLEASE REVIEW THE TYPES OF CASES THEY ARE TAKING BEFORE YOU CALL. More Attorneys are to be added soon. Keep checking back. Bills have limited health care provisions. No compensation for Spouses or Children who lived or were born on base. Civilian personnel have been omitted. Veterans can apply for VA Disability Compensation. Senator Burr S 1518 2009 View the contentS of the bill. This Bill did not pass. May 5,2011 Bill is limited in coverage and illnesses and diseases must be approved by the Secretary in consultation with the ATSDR. Senator Richard Burr Urges Support for Lejeune Veterans, Family Members August 5th, 2010. The Bill, S.1518, Caring for Camp Lejeune Veterans Act of 2009, DID NOT PASS. A simple way of understanding how a bill becomes law. Type in toxin to view health effects. Enacted in 1946 the Federal Tort Claims Act (FTCA) (60 Stat. 842) removed the inherent IMMUNITY of the federal government from most TORT actions brought against it and established the conditions for the commencement of such suits.Listen to an audio version of this article. This is a packet for filing a CIVILIAN TORT CLAIM (SPOUSE, CHILD OR CIVILIAN WORKER WHO LIVED OR WORKED ON BASE 57-87) against the Marine Corps for illnesses or the Death of a family member. We suggest you consult with a Tort Claims Lawyer before submitting. List of Attorneys that are taking (some) Camp Lejeune cases. PLEASE REVIEW THE TYPES OF CASES THEY ARE TAKING BEFORE YOU CALL. More Attorneys are to be added soon. We are not recommending any Law Firm or Attorney and it's a personal choice if you hire one. Interactive map that will show you your states Congressional contact information. Contact information for the House of Representatives. Walmart offers a drug program available to everyone. CERTAIN GENERIC DRUGS are $4.00 for a 30 day supply and $10.00 for a 90 day supply. You can call your local Walmart to confirm that your medicine would qualify for the GENERIC SUBSTITUTION. The Vietnam Veterans Memorial Wall in Washington DC honors the fallen of the Vietnam War. Relatives and friends leave letters, poems, and photographs there and on this web site named The Virtual Wall ®. We bring the Vietnam Veterans Memorial to your home. This test is not normally run when you have a check up. Be sure to ask that it be included. You may have to pay for it if your insurance doesn't cover it. Please ask for the test. TREATMENT OPTION FOR PARKINSON'S THIS IS FOR INFORMATIONAL PURPOSESWE ARE NOT RESPONSIBLE FOR YOUR DECISION IN SEEKING THIS TREATMENT. THIS IS ONLY PROVIDED AS INFORMATION. The consistency among the studies and the concordance between the studies in mice and humans support an etiologic role of TCE in autoimmune disease. Autoimmune disorders are diseases caused by the body producing an inappropriate immune response against its own tissues. There is a close association reported of this form of trigeminal neuropathy with reactivation of orofacial herpes simplex that suggests the possibility that the chemical, which readily gains entrance into the nervous system, may be responsible for reactivating the latent virus. strong associations between hypersensitivity or autoimmune. HEALTH EFFECTS VINYL CHLORIDEEffects of Vinyl Chloride. potential exposure route of concern is oral, via drinking water or contaminated food. General dermal exposure is not considered a major route of exposure but direct skin exposure to PCE in the liquid form can result in irritation and blistering. The primary organs targeted by PCE are the central nervous system (CNS) and the liver. studies suggest that repeated and frequent overexposure may have long-lasting and possibly permanent effects on the nervous system. Symptoms include fatigue, poor muscle coordination, difficulty in concentrating, loss of short-term memory and PERSONALITY CHANGES such as increased anxiety, nervousness and irritability. A Google Earth map has been compiled to show the poisons found at various locations at Camp Lejeune. To view the map, Google Earth 5.0 MUST be installed on your computer. After installation, using the link below, click on the "view map" link. Agent Orange has NOT been linked to USMC Camp Lejeune however, we have been successful in helping Vets get approved using Agent Orange rather than Camp Lejeune. It's the time frame that matters. Some symptoms are the same. These links are for informational purposes only. Part of the United States’ strategy in Vietnam was to conduct an herbicide program to remove foliage providing cover for the enemy. Agent Orange was the most widely used of the herbicide combinations sprayed. Agent Orange and other herbicides used in Vietnam were tested or stored elsewhere, including some military bases in the United States. More than a hundred thousand members of the United States Navy, Coast Guard and Fleet Marine services who fought in Vietnam between 1962 and 1975 suffer disabilities from the effects of dioxin, found in Agent Orange. (PAGE 30) BUILDING 712 AT SITE 2 WAS CONVERTED TO CHILDREN'S DAY-CARE CENTER. DDT, CHLORDANE, AND OTHER CHLORINE INSECTICIDES WERE DETECTED IN SURFACE SOIL SAMPLES DURING THE IAS IN 1982 AND THE DAY-CARE CENTER WAS CLOSED. PLEASE READ THE SITE RULES BEFORE YOU POST. Type in chemicals or diseases to view. VIDEO Senator Burr Urges Support for Lejeune Veterans, Family Members August 5th, 2010. The Bill, S.1518, Caring for Camp Lejeune Veterans Act of 2009, did not pass.